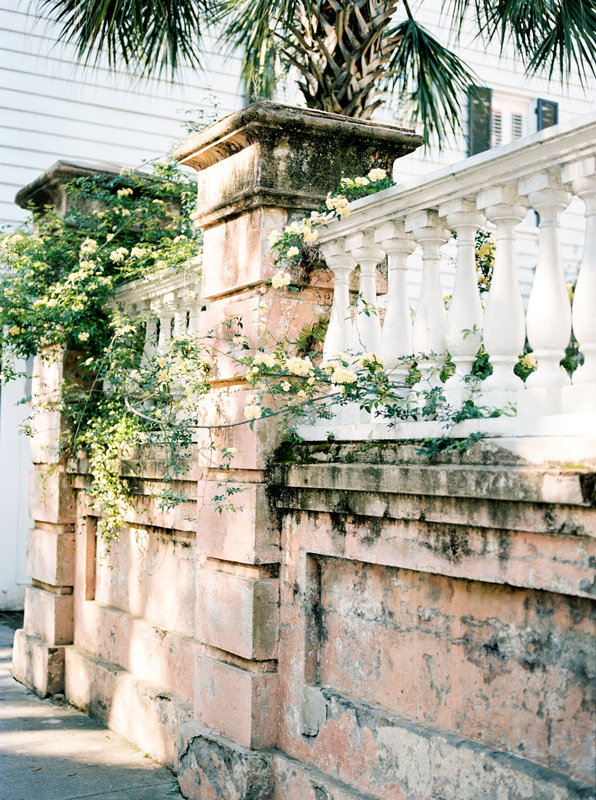 When planning a trip to Charleston to shoot a wedding a few weeks ago, I decided that I would only shoot film for photographs of the city. It is pretty hard to capture the incredible mood and beauty of this colonial city through photographs as there is nothing like being in the midst of it all, but I sure had fun trying. Block after block of eye catching colors, textures and architecture run rich throughout downtown Charleston. My dear friend Lauren joined me on this trip and between the two of us beauty seekers, we could hardly make it 3 strides before stopping to admire something as we walked the cobbled streets. Charm caught our eyes at every turn and I only wish I had brought more film to capture more of it. Oh well, guess I will just have to go back! This city by the bay officially has a piece of my heart.